With Edinburgh Fringe just around the corner, London is awash with preview seasons – and the good folk at Royal Museums Greenwich are offering you a chance to see a TVO flavoured preview for free! 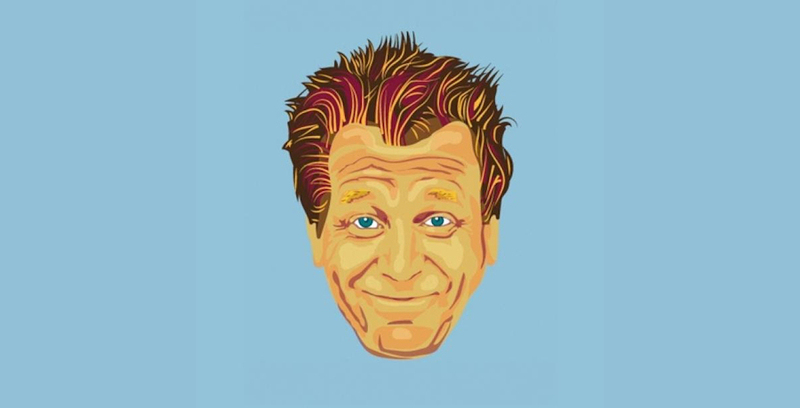 Ealing Live veteran and cult stand-up legend Tony Law is one of the many acts on the bill for the RMG Cutty Sark Theatre pre-Edinburgh Comedy Festival. Running from 22nd July to 4th August, other great acts across the festival include Seann Walsh, Josie Long, Bridget Christie, Simon Munnery, Abandoman, Lolly Adefope and Sam Simmons to name a few. And best of all: we have a pair of tickets to giveaway to see Tony alongside Jordan Brookes on Tuesday 26 July on board the Cutty Sark in its wonderful theatre space. What is the name of Tony Law’s brand new live show for 2016? Email your answer along with your full name to competitions@thevelvetonion.com by 11:59pm on Tuesday 19th July. We’ll pick a winner at random from all entries, and be in touch with them on Wednesday to ensure they are still able to attend. For full terms and conditions, see the small print below. To see the full list of events at the Royal Museums Greenwich pre-Edinburgh Comedy Festival, and to book tickets, visit the RMG website. This competition offers 1 pair of tickets for Tony Law and Jordan Brooks at RMG pre-Edinburgh Comedy Festival on Tuesday 19th July 2016. The winning entry will be selected at random, from all who correctly answer the question: “What is the name of Tony Law’s brand new live show for 2016?” The winner will be contacted via the email address they use to enter. Details will not be shared with any additional third parties beyond The Velvet Onion, AKA and the guest-list for the venue. Only entries made to competitions@thevelvetonion.com will be accepted. The Velvet Onion will not accept entries as comments to this post, replies to our Facebook/Twitter pages, comments to any other posts in error or emails to any other email address in our domain, nor any entries received after 11:59pm on Tuesday, 19th July. This competition is being run entirely by The Velvet Onion, with prizes organised by AKA and RMG. One entry per person. Any entrants found making multiple entries from the same IP address will be disqualified, and banned from entering further competitions run by The Velvet Onion. The judge’s decision is final. There is no monetary value to this competition, tickets are non-refundable and no cash alternative will be offered. The winner must choose their preferred performance to attend at least 1 week before the specified date, and dates/performances cannot be changed. The winner will be responsible for their own travel and/or related expenses. The Velvet Onion reserves the right to withdraw this competition if any overriding issues arise.